Washington • The Senate on Thursday confirmed David Bernhardt as the new secretary of the Interior Department, handing him the top role in overseeing America’s public lands — including vast stretches in Utah — even as environmentalists charge that he is too beholden to the oil and gas industry he previously called a client. Bernhardt, who has been serving as acting secretary since the resignation of scandal-plagued Ryan Zinke, will officially take over the department that manages more than a half billion acres of federal land, including national parks, and natural resources onshore and off. The Senate voted 56-41 to confirm Bernhardt, who previously served as deputy secretary under Zinke. Sens. Mike Lee and Mitt Romney, both Utah Republicans, supported Bernhardt. Romney, who met with the nominee before the vote, said Bernhardt sees a need for greater state and local involvement in public lands decisions. 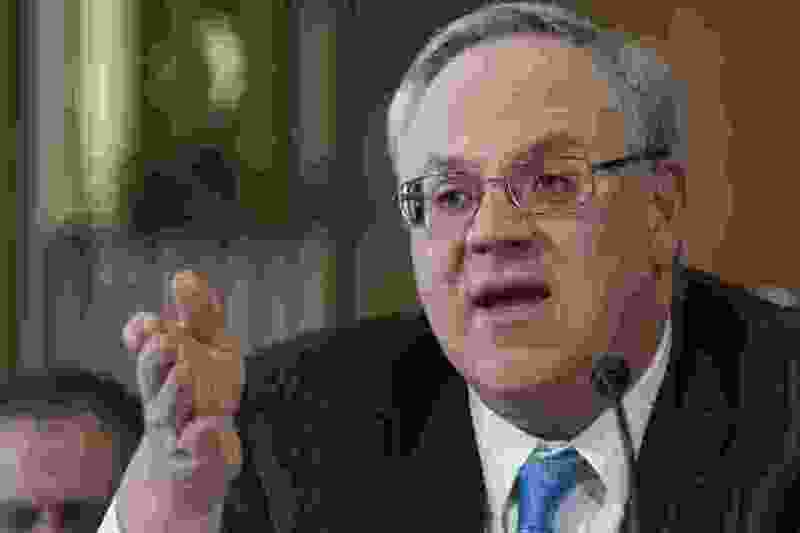 Environmental advocates agree that Bernhardt has a solid understanding, though they argue it comes from a lengthy career representing the oil and gas industry and that the fox has now been hired to guard the public’s chicken coop. Bernhardt has worked off and on at the Interior Department during his career, including a stint as solicitor general during George W. Bush’s presidency. He’s also lobbied for oil and gas companies that are now seeking Interior’s blessing for more mineral extraction. The new secretary has so many potential conflicts, he carries an index card of his former clients to avoid any issues, The Washington Post reported. His confirmation vote Thursday was the closest ever for an Interior secretary, with nearly all Democrats opposing the nominee, who has said he doesn’t plan to recuse himself from issues pertaining to his former clients. “By refusing to recuse himself, Bernhardt has shown a potential willingness [to] put his former clients’ needs before the public good,” said Sen. Diane Feinstein, D-Calif.
Bernhardt, as deputy secretary, played a key role in reviewing national monument designations during the past 20 years, which led to President Donald Trump shrinking the Bears Ears and Grand Staircase-Escalante national monuments by 2 million acres. The new secretary already faces a request to appear before the House Natural Resources Committee, whose chairman, Rep. Raul Grijalva, D-Ariz., has questioned the legality of Trump slashing the southern Utah monuments’ boundaries. On the other side, Utah Rep. Rob Bishop, the top Republican on that committee, lavished praise on Bernhardt and said he will be able to restore order at the Interior Department. Senate Energy and Natural Resources Chairwoman Lisa Murkowski, R-Alaska, said Bernhardt is the right leader at the right time. Still, critics warn that Bernhardt’s litany of potential conflicts will raise questions about every action the Interior Department takes. “Today, the Senate voted to put a former oil industry lobbyist in charge of the Interior Department,” said Christy Goldfuss, senior vice president of energy and environmental policy at the Center for American Progress and a former environmental adviser to President Barack Obama. Western Values Project Executive Director Chris Saeger charged that Bernhardt brings with him more scandals than those that brought down Zinke, who faced multiple ethics probes, some of which he was cleared in and others that are still pending.